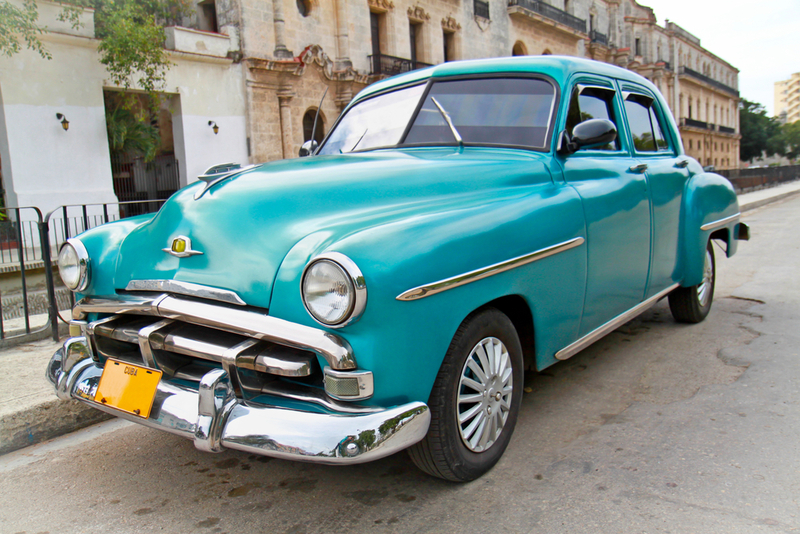 If you really want to be time-warp back into automotive history, then one of these days you could visit Cuba. That’s almost an unspoken truth in automotive culture. Havana itself is known to be beautiful, with brightly colored buildings and streets, but there is nothing quite as distinct as perhaps seeing a line of classic cars sitting at an intersection like it’s normal. Cuba, political and social struggles aside is has roads that almost exist as if they are a rolling car museum. Everywhere you look is an old-school American brand vehicle, ranging from Oldsmobile to Chevrolet, Buick to Ford with even appearances from Chrysler’s old Plymouth brand. 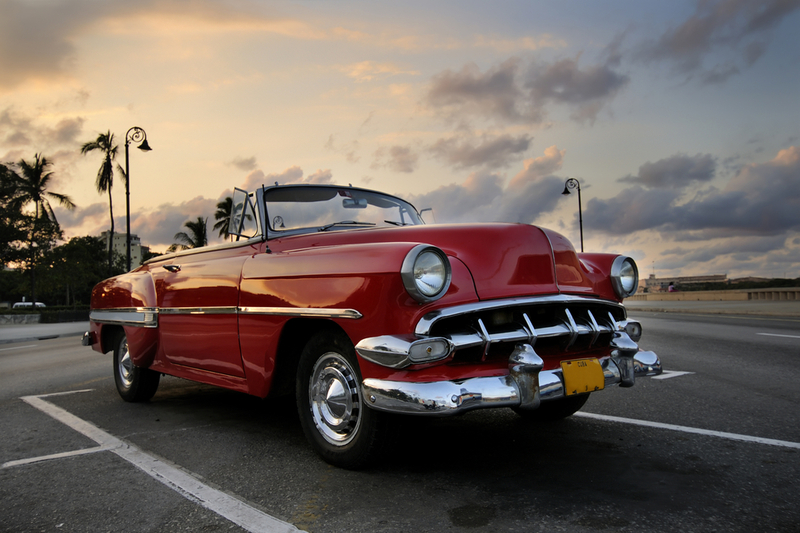 These are all vehicles that the majority of serious classic American car lovers would spend hundreds of thousands of dollars on—and they are used as Cubans’ everyday vehicles. 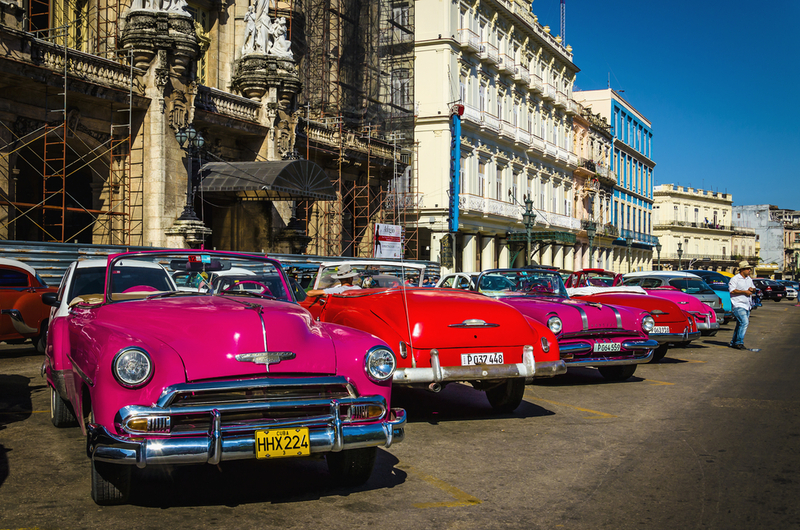 However, contrary to popular belief, car collectors will not be descending on Cuba to buy up the thousands of antique American cars still on the road in the Caribbean nation any time soon. That “out of time” feeling Cuba has generated is the result of a four-decade-long mutual grudge between the county’s late leader, Fidel Castro and the United States. Though the island floats only 90 miles away from Key West, Florida, Castro had placed a ban on foreign vehicle imports, making it nearly impossible to buy a brand-new, foreign-made vehicle. 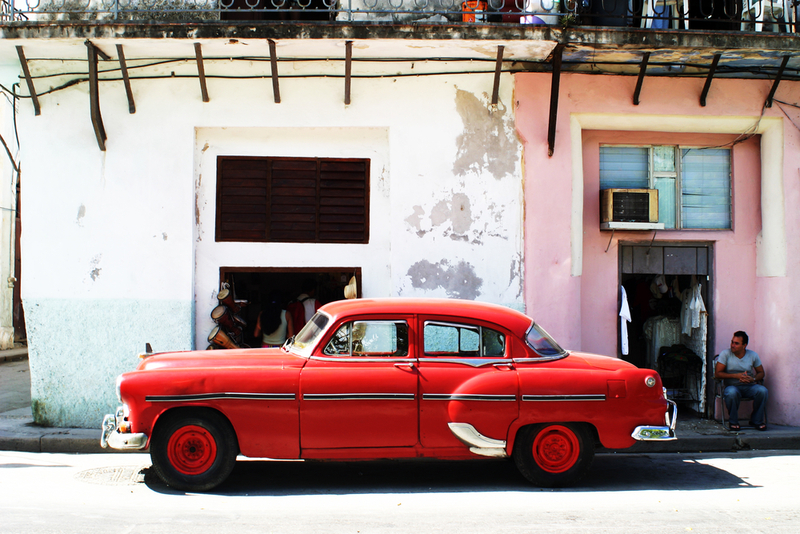 It also made it difficult to buy new parts and fuel for the old-school American cars Cuba is known for. Fidel Castro’s brand of socialism effectively killed the new car market in Cuba—the people were not permitted to buy cars. Citizens could only be given them by the government. And the government never had enough money to import cars in bulk from Europe or Asia. Experts and auto enthusiasts do express an admiration for the ingenuity that has kept the American cars on the road, in near-mint condition. That ingenuity may be the very thing keeping some collectors at bay, however. Despite appearances from the outside, many of these cars are held together by DIY solutions such as duct tape, twine and even copies of essential parts. Some of the cars aren’t even using any of their original parts. The way the collector market works in the US is that the intrinsic value based on the originality of its parts. Most of which pertain to original body, panels, engines, transmissions etc and m0ost of these are not on the cars seen in Cuba. In fact, it doesn’t take long for a novice to notice that there’s little that’s original left in the American cars on the roads of Cuba—most of which are General Motors models—except the body (which is usually kept pristine). For instance, if you were to jump into what looks like a 1956 Cadillac, you might turn the key and find that it actually has a Peugeot diesel engine. In some ways, the automotive culture is not unlike the “Galapagos Island.” Since the nation has been cut off for so long, the vehicles have slowly been adapted and remodeled to become their own thing. Those Cadillacs are not Cadillacs, they have become something else. To use an example of how the parts swapping and refurbishing affects valuation, a quintessential American car like a 1957 Chevy Bel Air four-door sedan, in perfect condition with original parts, could sell for about $50,000 starting at auction. The same model in Cuba, with a large dollop of Bondo body filler and substitute parts, would probably sell for only $5,000. Additionally, the sweet spot of car collecting has shifted from the 40s & 60s to 60s & 80s. These days, most collectors are racing to obtain the iconic American muscle cars of the late ’60s and ’70s. Models such as Ford Mustangs from 1965 to 1973, Dodge Challengers, Chargers, and Daytonas are hot, plus the Shelby Plymouth Superbird also gets many bids. That’s not to say the potential for using Cuba as a sight to get collectors cars should be dismissed. In fact, some buyers may want an original part or body to use in their own restoration process. Thus Cuba is still a big resource for collectors beyond the museum-like showcase. The greatest interest, however may come from Cuban immigrants or history enthusiasts who have already started forums and auctions involving “Cuban Cars.” The “Cuban Car” is quickly become its own collector segment completely separate from the American “Classic Car” scene. Our current auto culture, at least in the US is always looking to the future for innovation and convenience. The collectors market seems to be growing in response to that, as some auto enthusiasts seem unimpressed by the prospects of self-driving cars or infotainment systems. 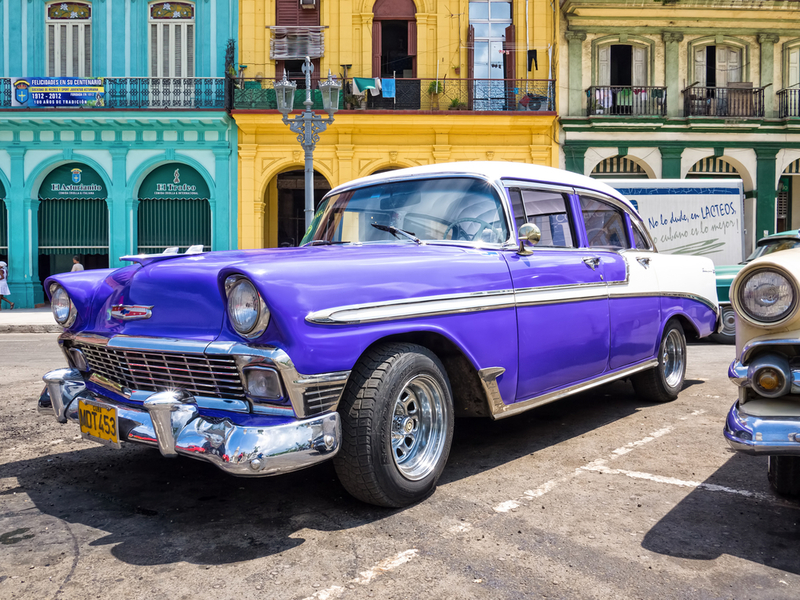 Countries like Cuba, whose automotive culture developed into something different from the US is a reminder of our automotive past as well as how culture affects that.